Bitcoin has recently hit its highest price of all time. 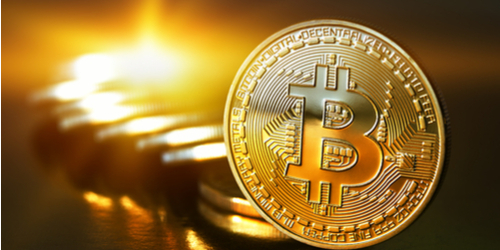 In the month of August alone, the popular cryptocurrency broke the $4400 and the $4700 levels in a separate day to record its highest settlement since its introduction in the financial market. Indeed, bitcoin is the hottest digital currently now. Many years ago, people would just laugh on the idea of using bitcoin as an investment channel. There was even a time when it was just valued at less than $300. Now that its prices have surged more than 4000%, many people are lured to try the digital currency. For those who are still confused with how it actually works, here is a step by step guide on how to buy bitcoins. You cannot buy bitcoins without getting in touch with its source. The digital currency is available at major exchanges. Some people sell it through marketplaces. Using the local currency like the euro and the US dollar, you can purchase them according to their latest bitcoin price. You can also pay via debit and credit cards, wire transfers, or even with its main peers or other digital currencies. After you buy bitcoins from exchanges, the nest thing to do is to find a place where you can store them. Think of it as the version of a bank account. In the world of digital currency, this storage is called the “wallet.” There are varying bitcoin wallets available in the market. Each also offers different level of security depending on the type of security you demand. It can be a software wallet, an online web-based service, or a vault. After you get your bitcoin wallet by signing up to a website, you need to connect your bank account and complete verification steps to finally use your trading account. After completing the steps, you can now buy bitcoins and start trading it. Remember that bitcoin price changes over time so you need to be aware of these market movements.